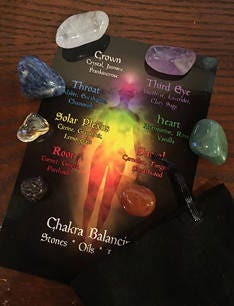 Set of Seven beautiful stones that correspond to the Chakras of the human body. Crystals are natural and tumbled so each set will be slightly different in size and shape. Comes with lovely velvet pouch and color postcard. 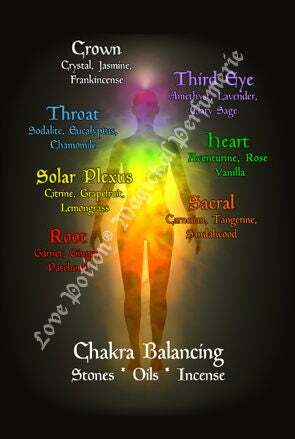 Check out our website for our handcrafted Chakra Perfume Oils too!